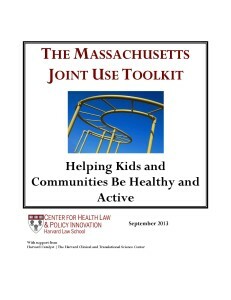 As part of Massachusetts’ ongoing efforts to fight childhood obesity, the Center for Health Law and Policy Innovation and the Harvard School of Public Health partnered with the Massachusetts Department of Public Health to produce the Massachusetts Joint Use Toolkit – a dynamic resource for communities seeking to engage their residents in healthier, more active lifestyles. Across Massachusetts, communities are searching for ways to help residents live active and healthy lives. 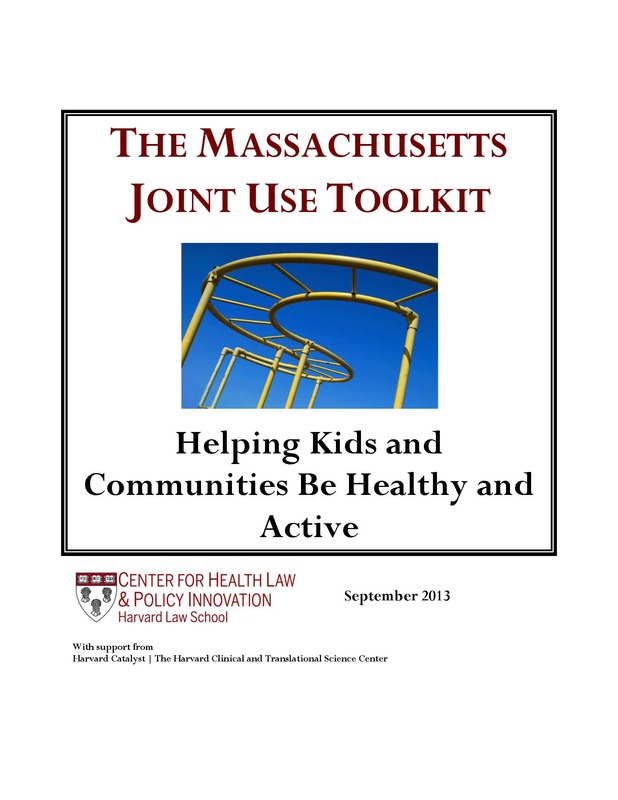 The Massachusetts Joint Use Toolkit is a how-to guide for community members seeking to access public buildings and spaces afterhours so residents can exercise and engage in other recreational activities. This Toolkit helps communities maximize the use of schools, playgrounds, parks, libraries, and town halls, by offering children and their families a safe, familiar place to get fit. The Toolkit describes the process of sharing space from A to Z; it addresses location, funding, safety, and liability, and provides a Model Joint Use Agreement that communities can use to safely open unused spaces to the public. The Joint Use Project is supported by Harvard Catalyst / The Harvard Clinical and Translational Science Center (National Center for Research Resources and the National Center for Advancing Translational Sciences, National Institutes of Health Award 8UL1TR000170-05 and financial contributions from Harvard University and its affiliated academic health care centers). The content is solely the responsibility of the authors and does not necessarily represent the official views of Harvard Catalyst, Harvard University and its affiliated academic health care centers, or the National Institutes of Health.